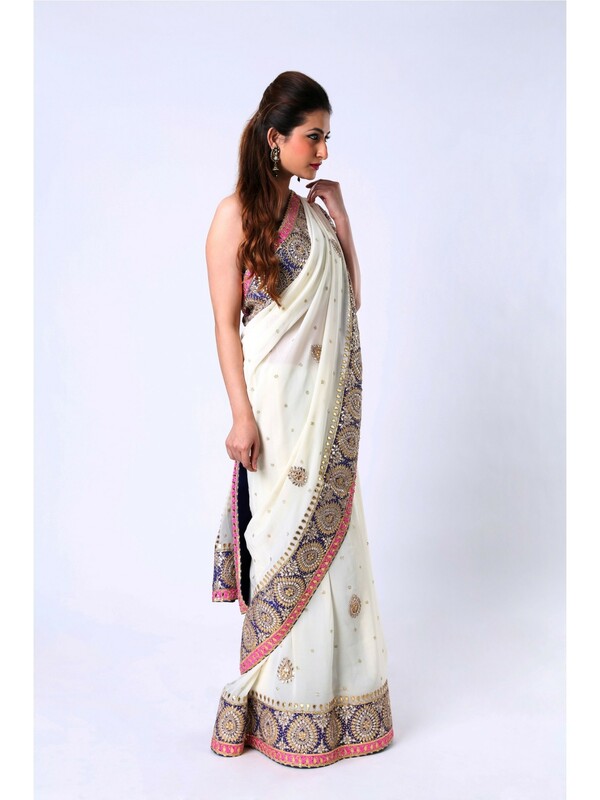 This richly decorative pure georgette saree is a desirable piece of admirable quality. 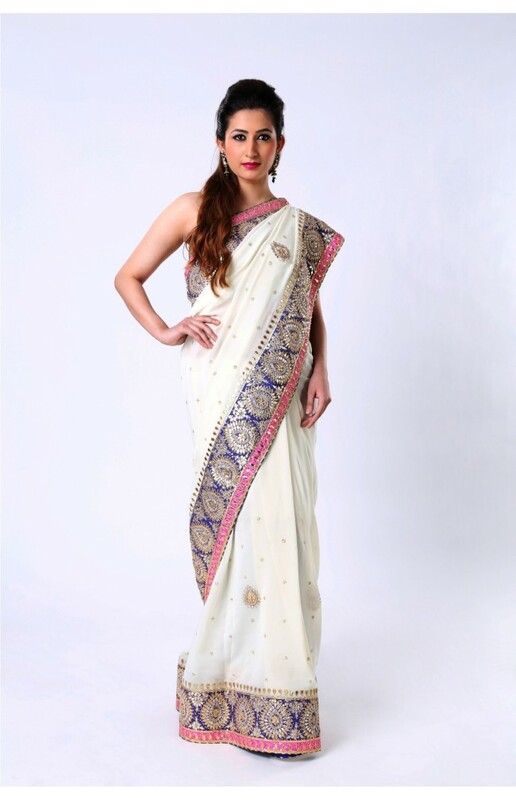 In ivory shade, the saree features elegantly embroidered motifs with a net of crystals. Further, the contrasting border of blue and pink decorated with zardosi, crystal, gota and sequence work add classic glamor. A blue magzi on the edge finely finished the piece. 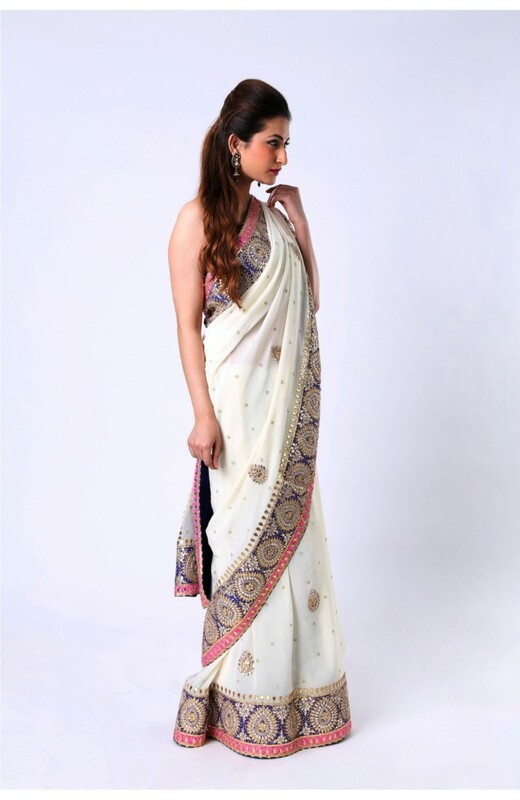 For a head-turning effect, it comes with a blue raw silk blouse.